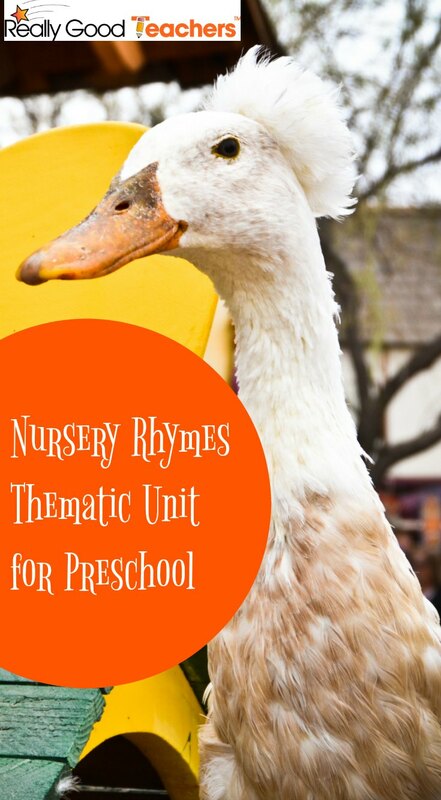 Let nursery rhymes take hold of your preschool or kindergarten class for a week this school year. 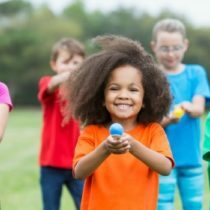 Instead of worrying about finding activities, try the ideas we have for you below. They are sure to keep your students engaged and make your lesson planning a lot easier. Math: Use Google Earth to map out a path from each child’s address to school and record the distance. Make a class graph of how far each sheep would have to travel. Science: Discuss sheep’s wool and ow many items are made of wool. Bring in samples of items for students to touch and feel. Social Studies/Community: Talk about sharing. Crafts: Make Cotton Ball Sheep. Language Arts: Read and recite “Humpty Dumpty” in large group. Math: Cut out six large eggs from card stock or a manila folder. Cut each one into smaller pieces to create a puzzle. Label the back of each piece with the same number or cut them all out of different colored paper to avoid confusion. Use the eggs in a puzzle center. Science: Discuss the differences and similarities between a hard boiled egg and a raw egg. 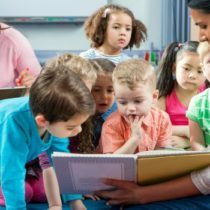 Social Studies/Community: Even though all the king’s horses and all the king’s men couldn’t put Humpty together again, talk with your students about some of the things that they could do to help and record their answers on a white board or chart paper. Language Arts: Read and recite “The Farmer in the Dell” in large group. Math: Draw and count each character mentioned in the nursery rhyme. Science: Plant a bean in a clear plastic cup. Social Studies/Community: Visit a local farm or have a traveling farm representative come visit the class. Crafts: Create a barnyard mobile. Language Arts: Read and recite “I’m a Little Teapot” in large group. Math: Measure and record heights of your students on a bar graph. Have students problem solve to line up from shortest to tallest. Science: Experiment with tea by observing changes to a tea bag when it is put into cold water vs. hot water. Record predictions, observations, and conclusions. Social Studies/Community: Have tea and scones in the afternoon while discussing the British tradition of afternoon tea. Crafts: Make a Teapot with your students. Language Arts: Read and recite “Row, Row, Row Your Boat” in large group. Math: Have toy boat races in the water table by blowing on the boats to see which one gets to the end the fastest. Time each student and graph the results. Science: Discuss the differences between moving water (such as a stream) and still water (such as a pond). Talk about what animals you might find in each and how their habitats are both similar and different. Social Studies/Community: Look at a map of the area around your school and point out water bodies. Have students color in a map of the local area or the state, paying particular attention to waterways. Crafts: Make a tinfoil boat.